How do I contact EarnHoney customer support? You can connect your EarnHoney account with a handful of social media services in order to automatically share specific EarnHoney events (Wins, Rewards redeemed, etc.) with your community. These “shares” come with your referral link included, meaning that it could be a potential source of referrals for you. Once you connect a social network, you can control which individual events trigger a share. Be aware that with Facebook, you are limited to four auto-posts total each day, and only one for any given activity. You can manually share things on Facebook as many times as you want. 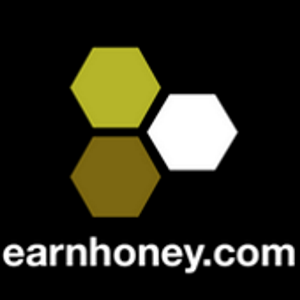 EarnHoney.com operates a rewards network which offers multiple ways to earn virtual currency called HoneyDollar$. Earn at your own pace and then redeem your HoneyDollar$ for free reward items in the Gifts Store. There are many other ways to win HoneyDollar$ as well – just visit our Winning Tips page to learn how. Who is eligible to use www.EarnHoney.com? EarnHoney is available to visitors from the United States only. We are working on increasing advertising partners in Canada and United Kingdom so we are accepting users from these two countries. As we increase our partners, we will open new markets. Can I transfer HoneyDollar$ to a friend? At this time, the option to transfer HoneyDollar$ to another account is not available. Can I redeem my HoneyDollar$ for cash? At this time, we do not offer a direct exchange of your HoneyDollar$ for cash. A guide to the Do’s & Don’ts of EarnHoney!